Finally the Joypad/Joystick configuration issues are history! Mulle will be on vacation from his office next week so we will have another run to discover bugs and other possible problems. 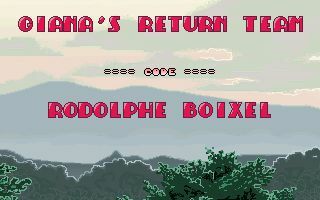 If everything goes straight, Giana’s Return v1.0 will be out within the next 4-6 weeks (or earlier). I still play Giana Sisters on C64 and Amiga….